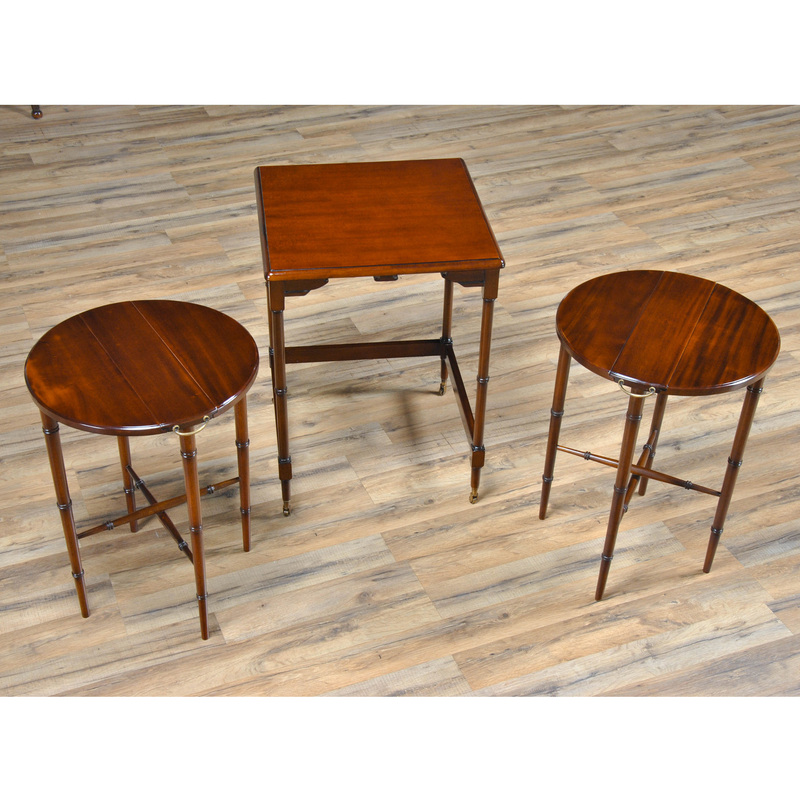 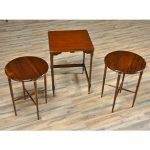 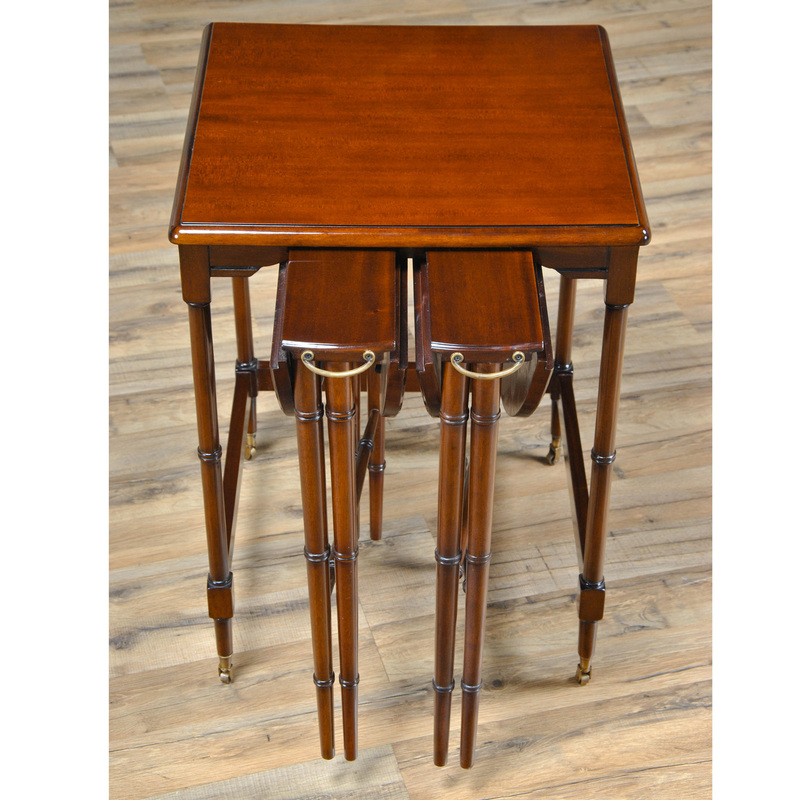 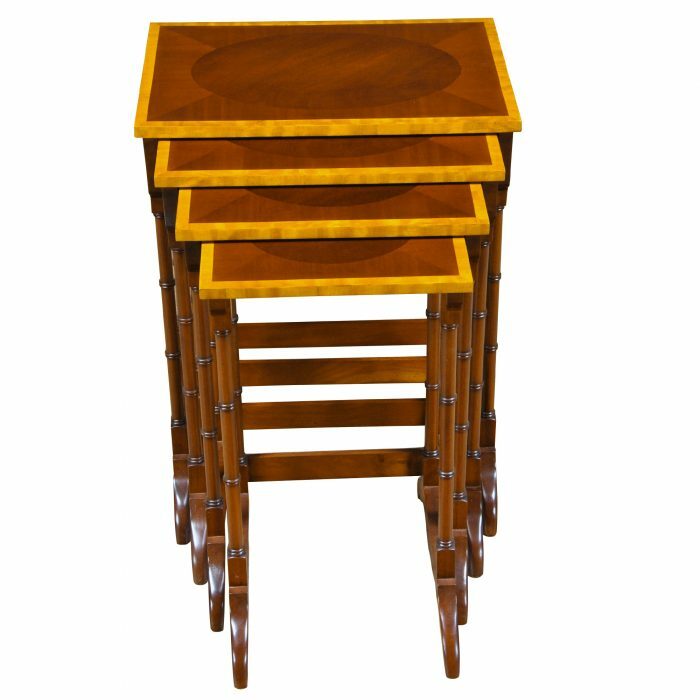 An ingenious set of three Tall Nesting Tables that stores the two smaller end tables underneath the largest table. 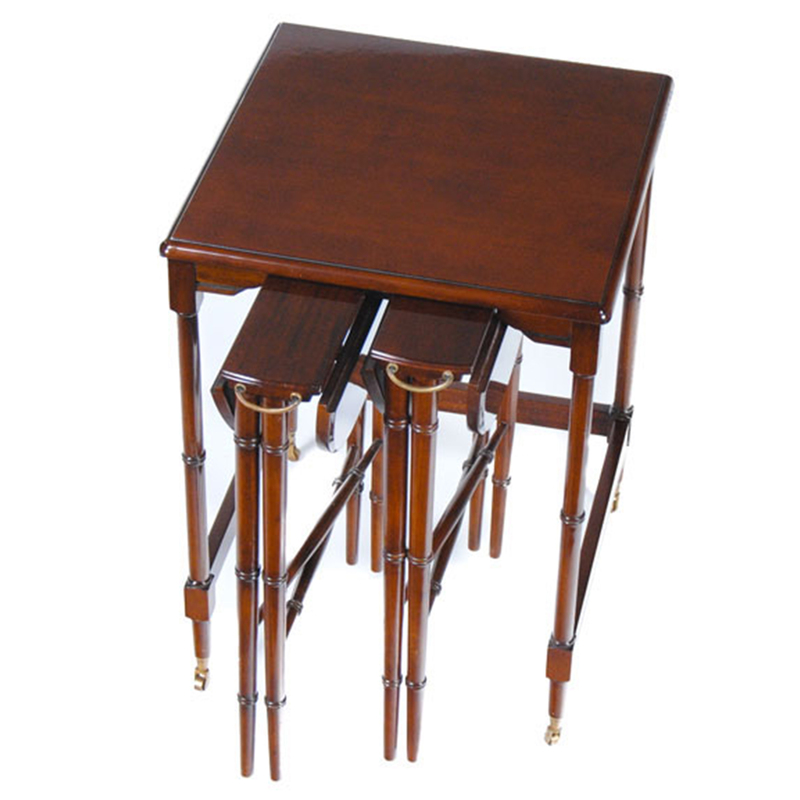 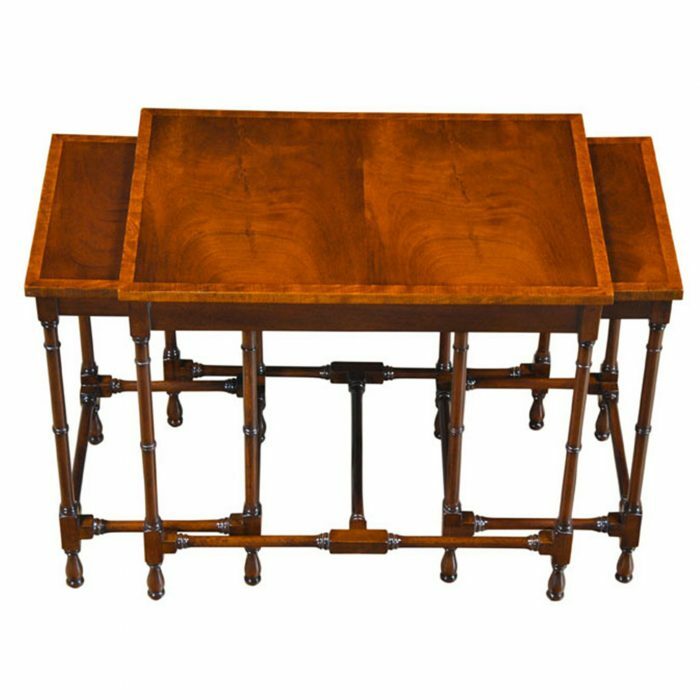 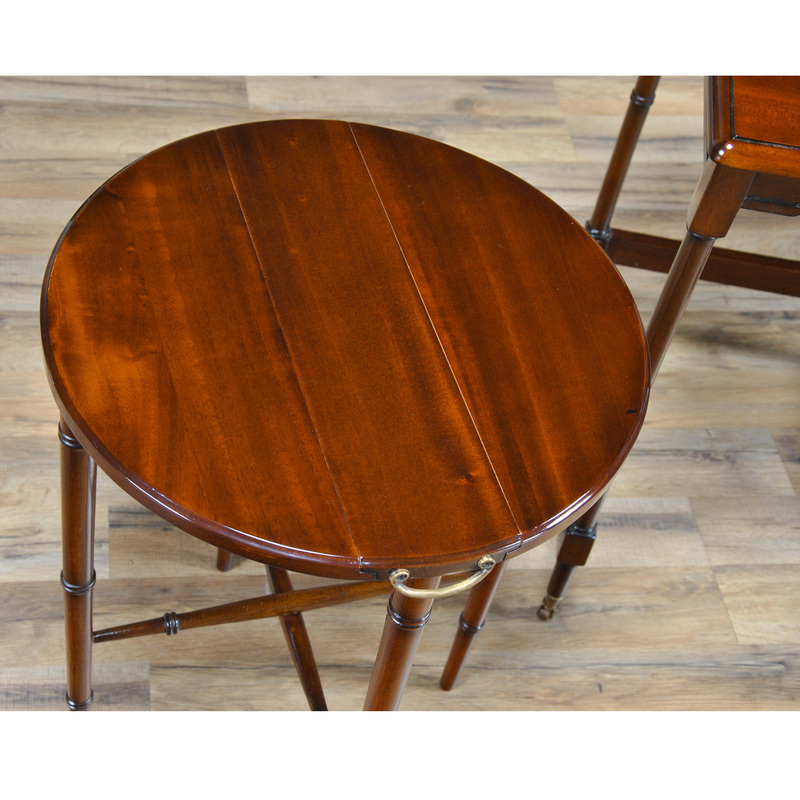 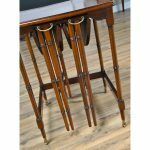 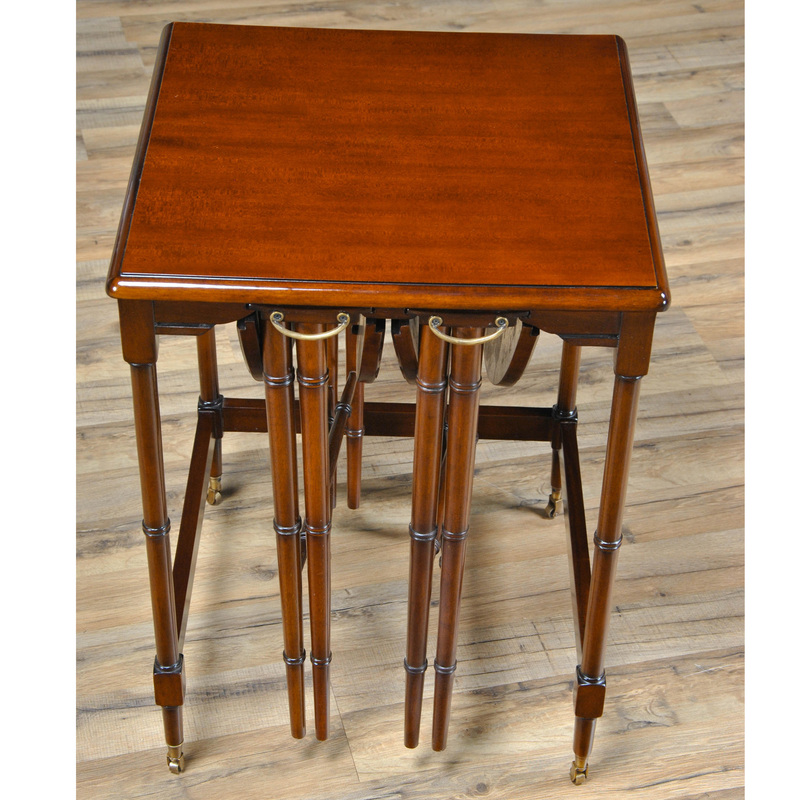 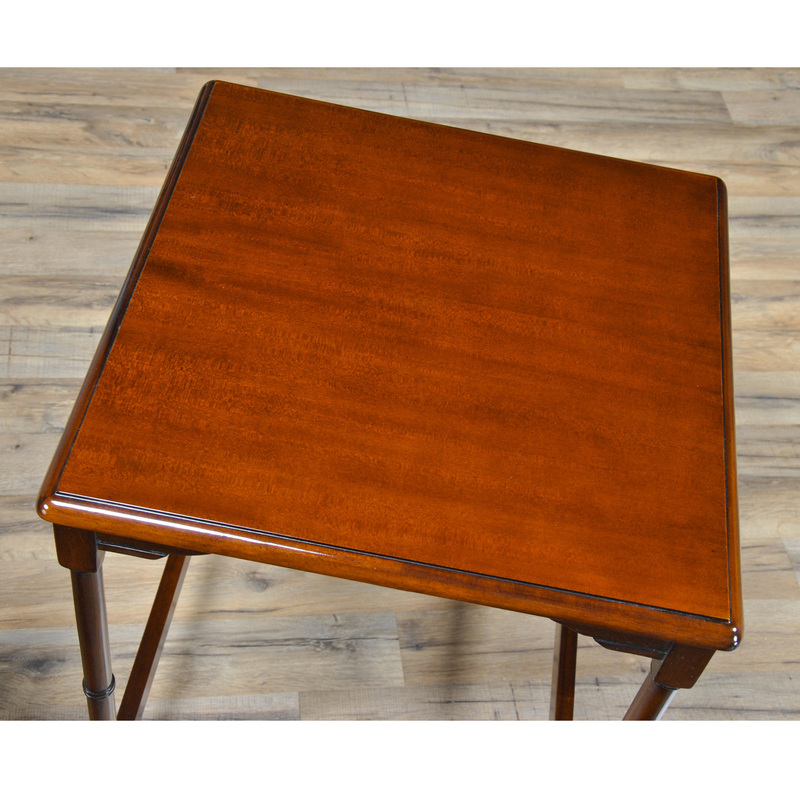 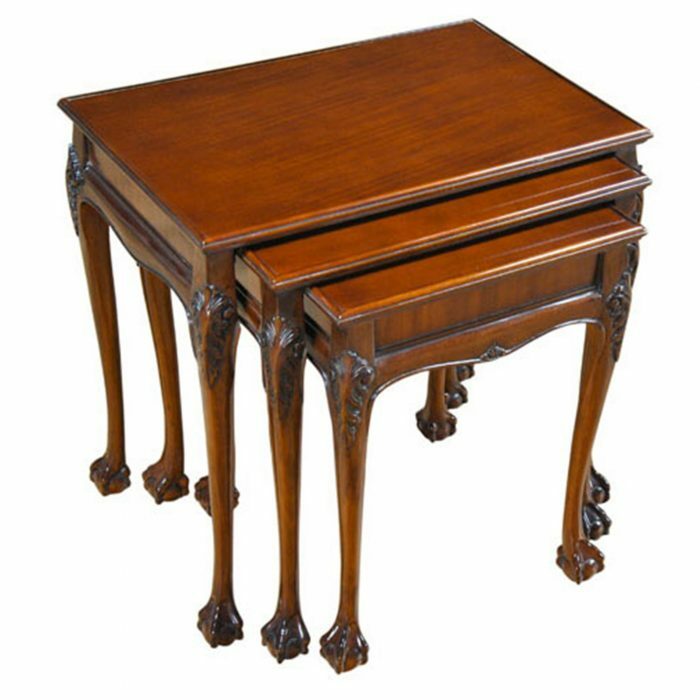 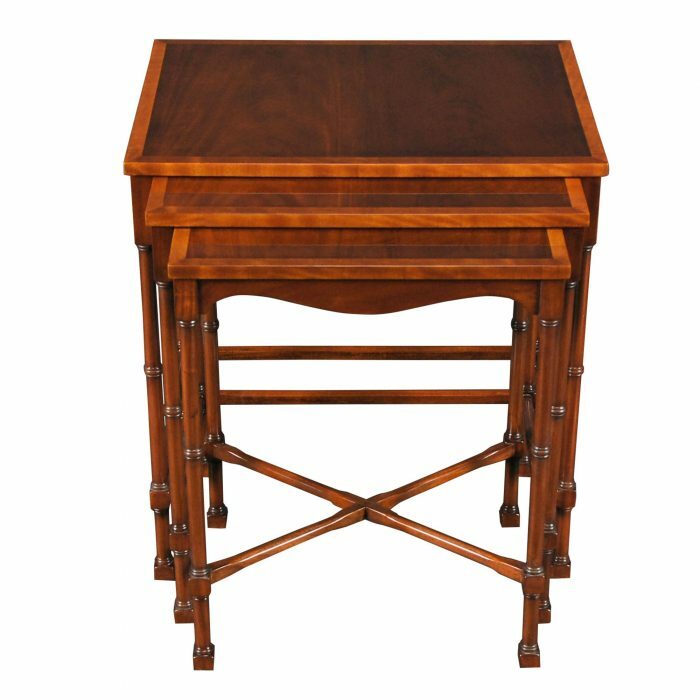 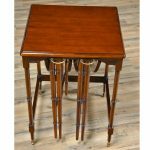 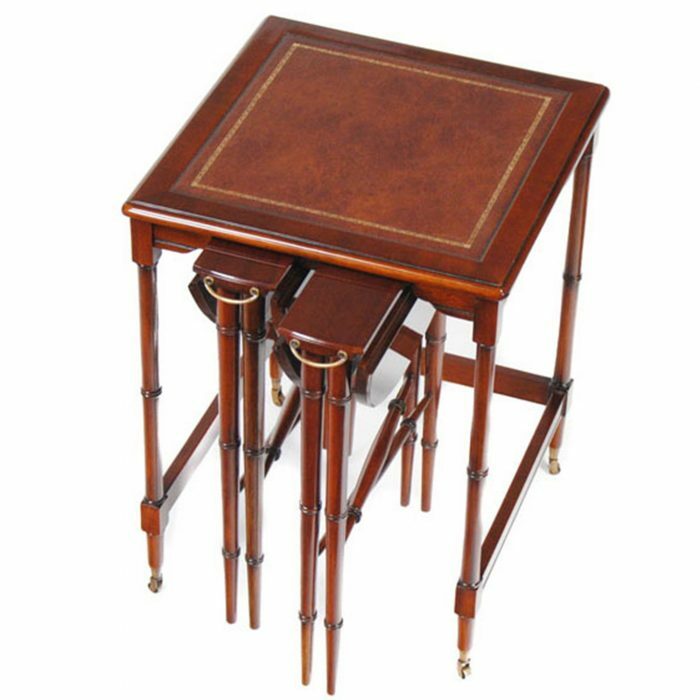 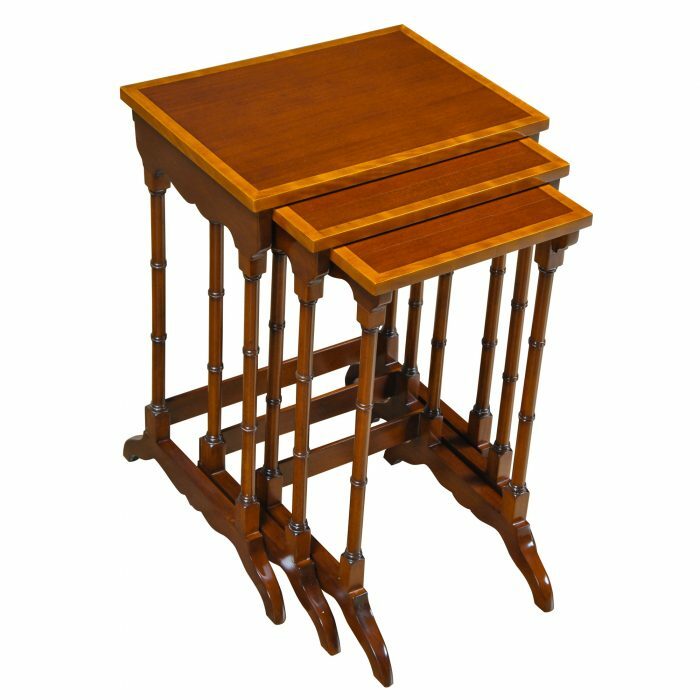 The smaller tables unfold and open up and can be used on sturdy, solid mahogany legs which are fashioned in a faux bamboo pattern. 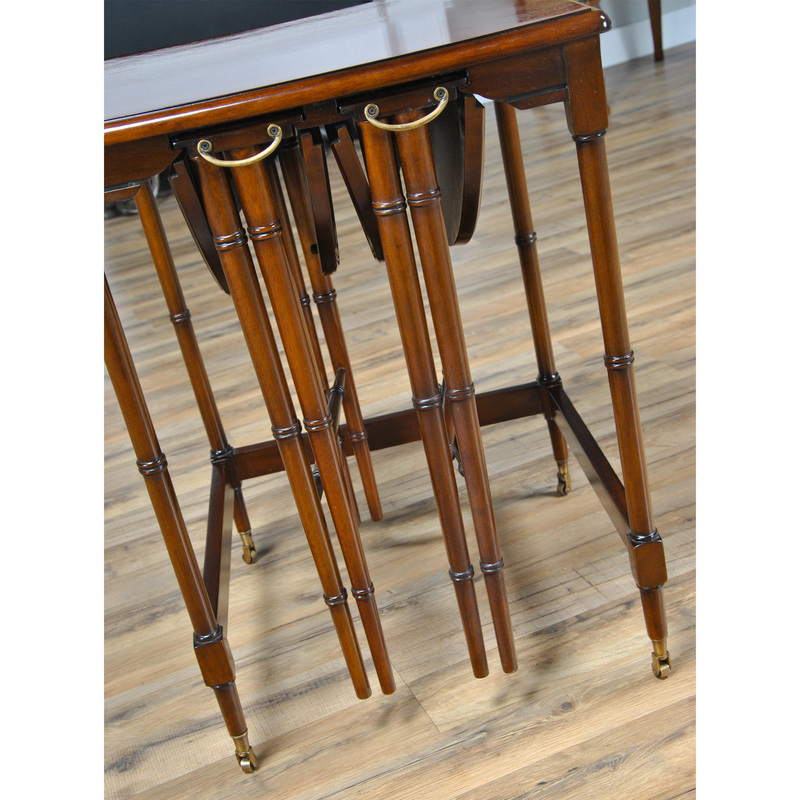 Beautiful turned legs, elegant solid brass hardware all combine to create a decorative and functional set of Tall Nesting Tables. 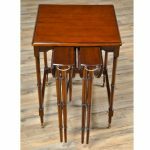 Great for when guests come over.